Guidelines for an ILIT can't be changed after it is set up. Irrevocable life insurance trusts, or ILITs, allow grantors to give up their "incidence of ownership” rights, enabling the death benefit from the life insurance policy to avoid estate taxes. Once the insured gives up these rights, he can't borrow from the cash value of the life insurance policy. However, the trustee can be given the right to borrow and distribute or spend the funds on any of the designated beneficiaries. An ILIT is an estate-planning strategy used by those with large taxable estates. By making the trust the owner of the life insurance policy, the insured removes the insurance proceeds from his taxable assets. The grantor of the trust pays the insurance premiums each year by gifting to the trust. As long as the premiums remain below $13,000, the grantor can use the annual $13,000 gift exclusion to avoid taxes. If you're the beneficiary of the policy, you'll receive a letter, called a "Crummey letter," after the money to buy the premiums is gifted. This notifies you that you can withdraw the funds within 30 days. However, most beneficiaries don't exercise this right, because the nonpayment of the insurance premium would cause the policy to lapse and render the trust worthless. The trust is an estate-planning tool to pass more assets to the beneficiaries in the future and they understand that. If you're the beneficiary, you can borrow on the cash value of the life insurance policy through the trustee. However, this right must be spelled out in the written instructions for the trust. Since an irrevocable trust is unchangeable, you can't borrow from the cash value if the grantor didn't set this up when the trust was originally created. Also, the grantor can't change the beneficiary designation or remove the life insurance policy from the trust. However, he can let the policy lapse or surrender it. After the insured's death, the proceeds go to the trust, which distributes them to the beneficiaries or holds them in the trust for their benefit according to the instructions of the trust. 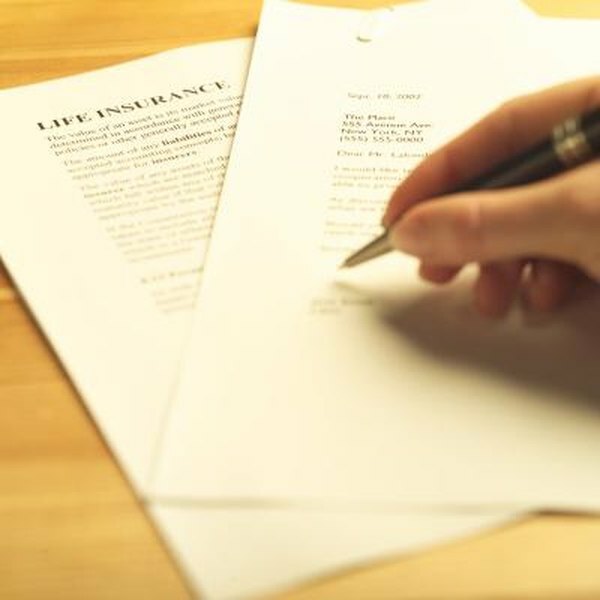 Since the trust is the owner of the life insurance policy, the death benefits isn't part of the insured's estate and not subject to the estate tax. That enables you, as the beneficiary, to avoid a tax payment as long as the estate falls below the amount of the estate tax exemption.